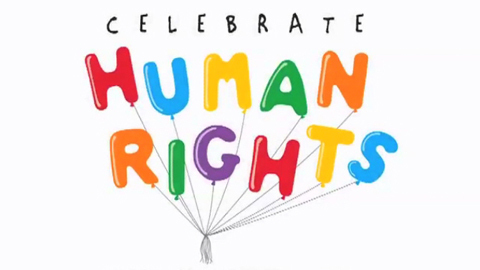 Human Rights Day is observed every year across the world on December 10. This date was chosen to honor the United Nations General Assembly’s adoption and proclamation. On December 10 of 1948, the Universal Declaration of Human Rights (UDHR) was adopted and the first global elocution of human rights and one of the first major achievements of the new United Nations was also declared on this day. The recognized establishment of Human Rights Day occurred at the time of the 317th Plenary Meeting of the General Assembly on December 4, 1950. This is the day when the General Assembly confirmed resolution 423(V), inviting all member states and other organizations who are interested in celebrating the day as they saw fit. While the High Commissioner office of the Human Rights was awarded by the Guinness World Record for the gathering, translation of 380 languages and sharing of the worldwide proclamation of the Human Rights. At this event, a global discussion on the human rights was also hosted by the High Commissioner with the help of social media sharing and the websites. This day is celebrated by organizing the supporting conferences, meetings and meet-ups, exhibitions, cultural proceedings, debates and many more programs to talk about all the issues of human rights. Several governmental organizations, nongovernmental and civil associations will actively participate in the human rights event celebrations. This day is celebrated by deciding a particular theme to make this celebration more effectual and winning. Human poverty in any country is the most challenging human rights challenge. One of the major goals of celebrating this day is to eradicate the poverty from the life of human being and assist them in receiving the well-being life. Many other programs including music, drama, dance, fine art, etc are also held to encourage and help the people to learn their rights. Most of the events are held at this day are meant to teach people, children as well as teenagers about their human rights. Some of the demonstration actions are also held in order to aware the people from areas where the human rights are unrecognized or disrespected. Let us stand for someone’s rights today!! !